We have been at it again! Renovations are completed and Thandi is excited to offer it’s customers a unique, private meeting/party room that is not only sound proofed, but comes equipped with fiber optics, a large screen plasma television (complete with surround sound) for presentations or watching the game, and private washroom facilities. 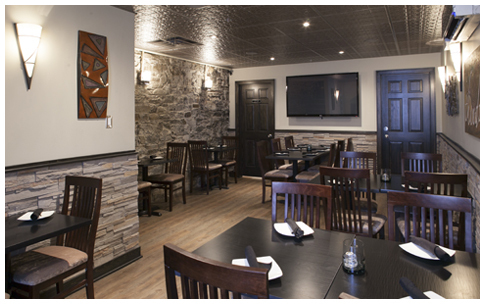 Thandi’s warm Asian atmosphere makes it a great place for company meetings & seminars. Thandi’s is fast becoming a favorite spot for wedding rehearsal dinners. We have a great tappa menu, join us after the show or theatre for a beer, a latte, expresso, cappacino and a late night snack. Planning a special event, holding a company meeting or hosting a private party. We have the place for you! Copyright © Singh Dining 2014. All Rights Reserved.